TheSpot518: For those who have not seen SIRSY live, what can they expect? Melanie of SIRSY: Our lifeblood as a band is performing live. We love it! So if you come to see us live you can expect that we’ll be smiling and interacting with the crowd. We’re not a “shoe-gaze” band. We love the exchange between the band and the audience — it’s all about that moment we are sharing together. It’s the greatest feeling to see someone singing along with a song we’ve written and seeing how much joy that song brings them. There’s nothing better! TheSpot518: It’s really just you and Rich producing the music. What exactly can you play, and how’d you get involved with so many instruments? Melanie: On stage, Rich plays a beat up or “well loved” Rickenbacker guitar. He has a pedal board that’s as big as an average sized human that he uses to create beautifully rich sounds and textures. He’s the only guitar player. So, he’s covering a lot! Rich also plays bass pedals with his feet. I am the lead singer and drummer. I play the drums standing up — which is a bit non-traditional, but allows me to join in on the dance party. I cover the other half of the bass parts on a sampler mounted on my drums. I have it set up like a piano and play the notes with my drum stick. I also throw in flute solos and some melodica here and there, too. We wanted the sound of a full band but wanted to be able to create that with just the two of us. So, that was the inspiration to our set up. TheSpot518: You two often share stories with the audience about your time on the road. What’s your favorite go-to? Melanie: A recent go-to for both of us is something that happened a few weeks ago while we were on the road heading from Knoxville, TN to Easely, SC (where we had a show that night.) The alternator died on our van and we were stranded on the side of the winding highway (that goes through the Smokey Mountains) for 4 1/2 hours waiting for the tow truck. (That’s a lot of peeing on the side of the road.) The tow truck driver, Ronnie, was very friendly — which was great because the three of us we rode 88 miles in close quarters, in the small cab of his truck (with our van on the back of his flatbed). He showed us pictures of his pet chickens and even gave us some eggs that he pulled out from under his seat! In the meantime, we were in contact with the venue who had found a mechanic, gone out and bought the new part for us, and anxiously awaited our arrival. The plan was for the mechanic to fix the van while we played our first set. Ronnie, the tow truck driver said “the show must go on” and drove faster to get us there. We arrived at the venue only 20 minutes late for our show (in a flatbed – with a dozen eggs) only to find that a storm had just come through, and knocked a tree down, which shut the power off at the venue and we couldn’t play! We had a candlelight meet and greet with all the folks who had come to the show and were able to call a “do-over” the next day and perform the show before we headed off to the next one! So, it all ended up working out and we made some new friends. Happy Ending! It’s a cool thing for us all to help one another out with getting gigs and getting fans to check out our friends’ bands. We are fans of other bands and want our fans to be too! And other bands return that love to us — it’s a great vibe. TheSpot518: Here’s your obligatory “job interview” question: Where do you see yourself in five years? 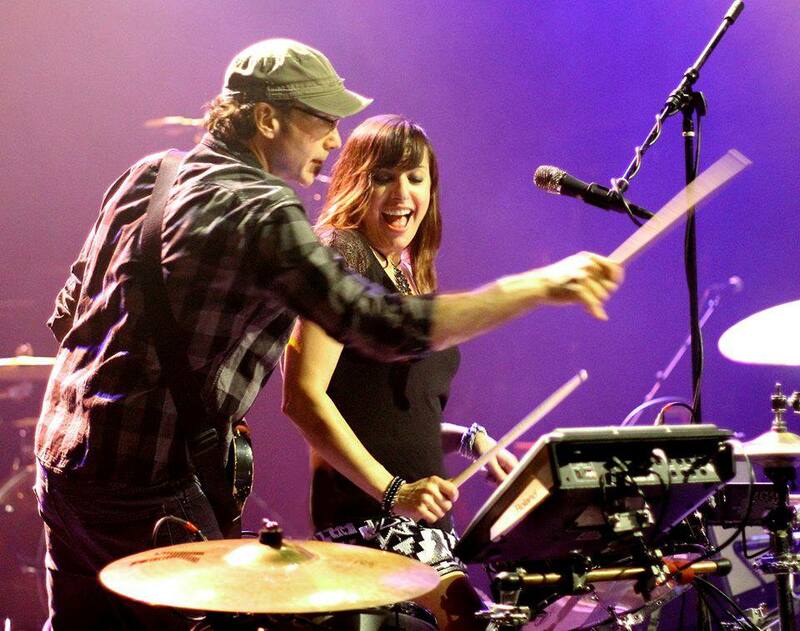 Melanie: Rich and I play 250+ shows per year and average about 60,000 miles per year on the road. We’ve been able to perform live in every state in the U.S. except Alaska. So in 5 years, we’d love to say we’ve played all 50 states and that we’ve played outside of the U.S., too. There’s also always the big dream of being the Cantina Band in the next Star Wars movie. 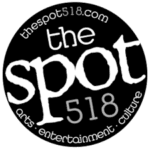 TheSpot518: There’s been a lot of buzz lately about how amazing the local music scene is. It’s great to be a fan, but what can you share from your perspective as an artist? Melanie: We love the sense of community that exists between musicians. It’s not just locally, but we are lucky to experience that in other cities as well. We trade shows and share fans with bands all over the country. If you’re out and looking for something to do around town, pull up our online calendar at TheSpot518.com to see what’s going on.